PLOT: Phoebe tracks down her father, but isn’t sure whether she should meet him. Ross asks Rachel to make a list of pros and cons about him. It takes less than thirty seconds for the first double entendre to be uttered. This one was a really easy set-up as it involved ‘ugly naked guy’ and “his Christmas balls”. It was a nice moment that allowed me to remember what Friends’ writing was like. It was oddly comforting. 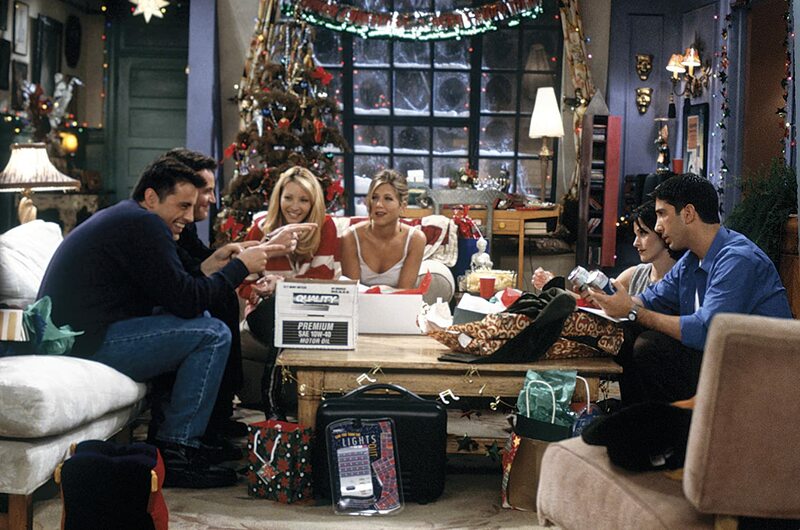 I chose the season 2 Christmas episode because I wanted it to be early enough that it was still the pure Friends experience. I was not disappointed. The main storyline involves Phoebe finding out that the man she thought was her father was not really him. This revelation occurs when Monica, Ross, Chandler and Joey show that they are the terrible friends that we know they are by poking fun at the idea that she thought the photo of the man who came with the picture frame was her father. This is understandable at first, but after it was obvious what was happening, they continued to drill it home like the awful people they are. The secondary story is the one that focuses more on Christmas, as Rachel and Monica decide to give out cookies instead of money to all the people who provide them a service (mailman, paperboy, super, etc.) throughout the year. It is a rare unselfish moment of the episode, but it still doesn’t feel like an attempt to capture the Christmas spirit. As with every other Christmas adjacent part of the episode, this bit feels like something a mediocre comedian would add to their act in December. The holiday is just a backdrop, and that was disappointing. There are no christian symbols, mentions of church or even off-hand references to Jesus. These omissions add to the feeling that the things contained in the episode are only there because of its air date. 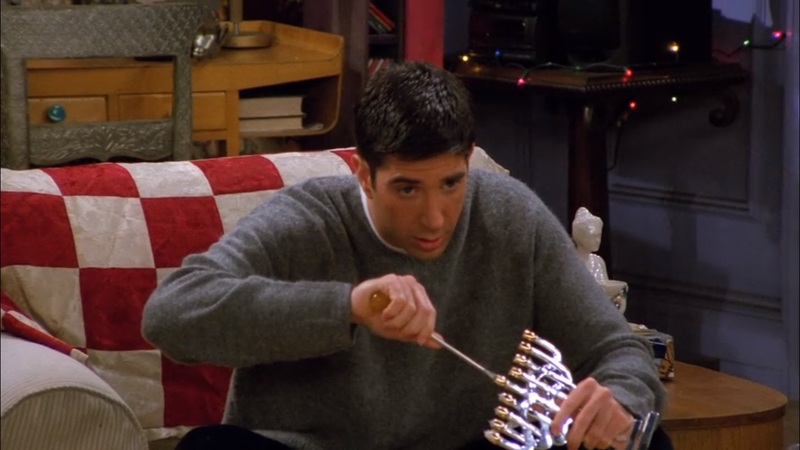 The small appearance of anything religious is Ross with a menorah at the beginning of the episode. The one thing the set designers did correctly was make sure almost every scene in the episode had a Christmas decorations in it. 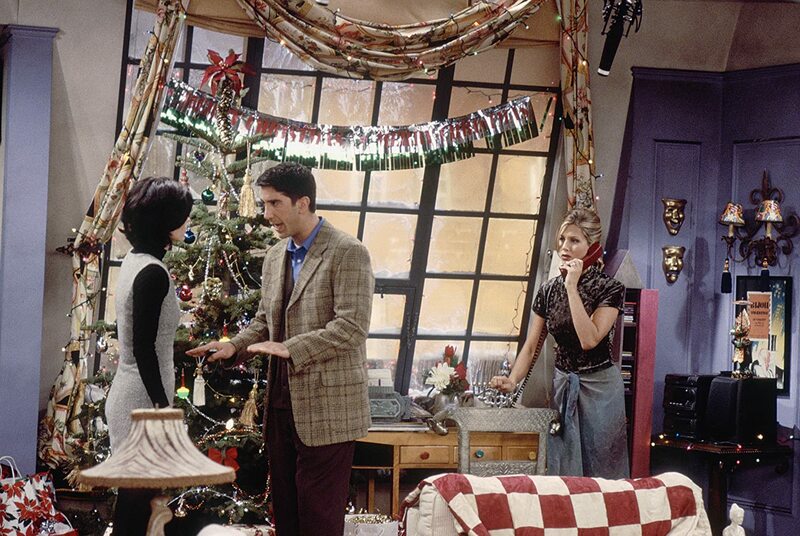 Whether it was a tree and lights in the aparment or the window at Central Perk, you were always reminded of what holiday it was. But once again, it all felt like a backdrop; a really pretty one though. This Friends Christmas episode did a really good job of showing you that it was taking place during the holiday, but as I mentioned earlier, it all felt really hollow. That is more of a reflection of how the characters we are watching — pretty, selfish people in their 20s — would approach the holidays. Even if an argument is made that some characters are Jewish and that’s why it felt more secular than religious is true, then they didn’t even make it feel remotely like the season should to those who are not practicing Christians. It appeared as though the characters needed to do these things — Christmas party, gift giving, etc. — rather than they wanted to, which made it all feel flat.